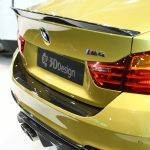 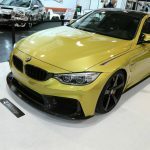 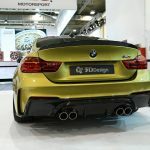 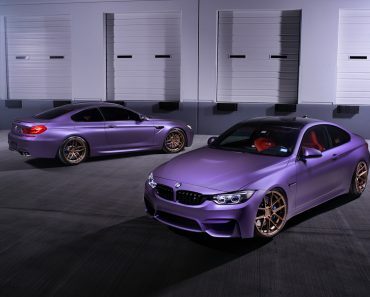 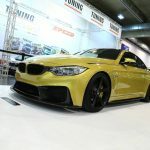 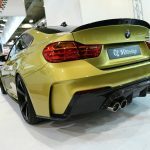 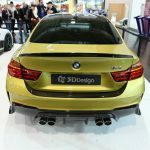 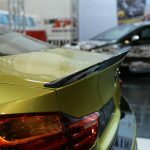 Since it opened its gate a couple of weeks ago, the 2015 Essen Motor Show has been the host of a lot of customized F82 BMW M4s, each one coming with unique tuning programs. 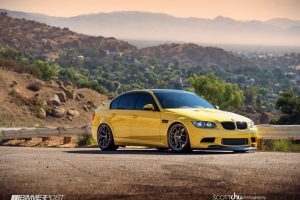 The latest one is this gorgeous Austin Yellow, being wrapped with the custom Carbon Fiber Dynamics kit from 3D Design tuner. 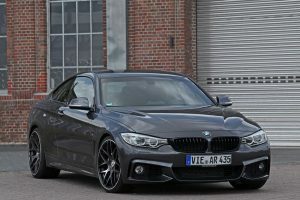 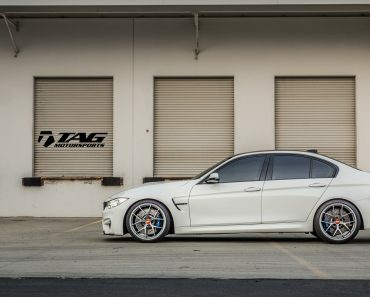 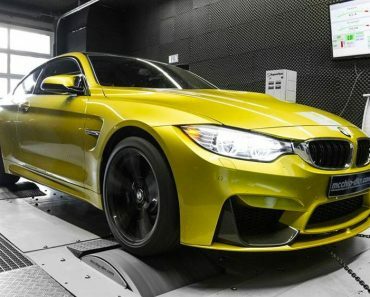 The Japanese tuner is well-known for delivering outstanding programs especially for BMW M4s and this one seen here is now exception. 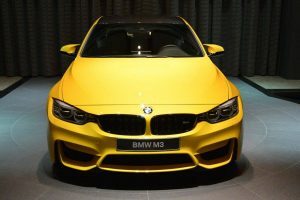 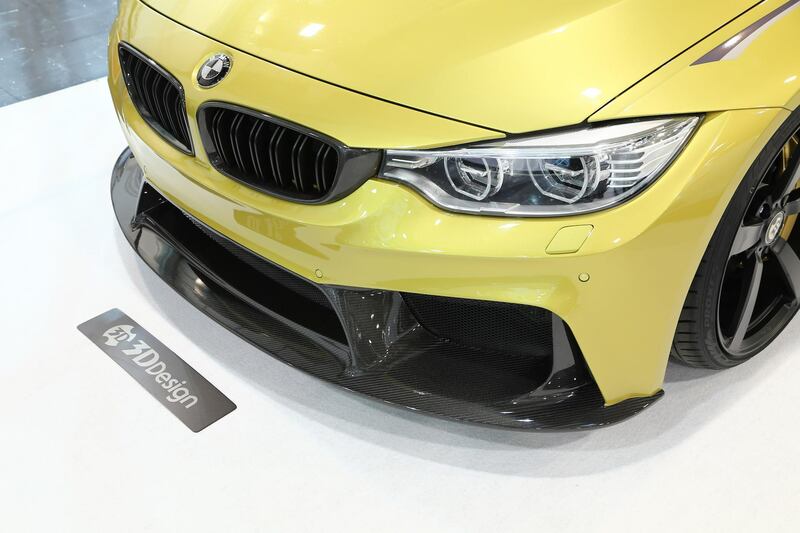 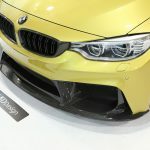 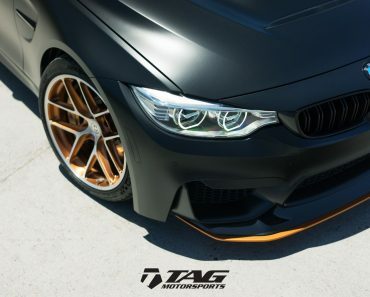 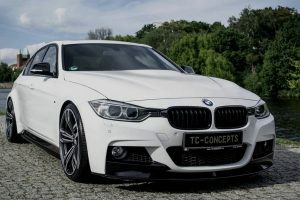 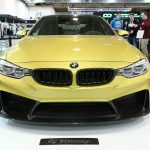 As we can depict from the pictures, this Austin Yellow F82 BMW M4 is proud to wear the carbon fiber components, starting with the carbon front apron with the wide air intakes and updated front splitter, huge rear diffused and the standout four tailpipes, which provide the model with a unique sporty look. 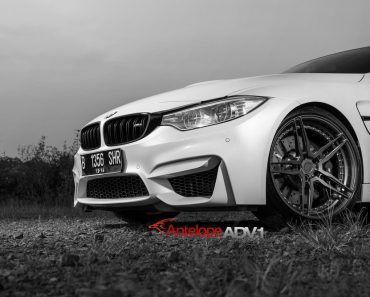 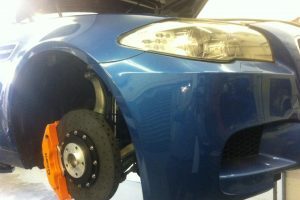 The plethora of components continue with the black kidney grille, custom side skirts, along with the rear spoiler and the black alloy wheels, which gives it a greater stance and stronger personality. 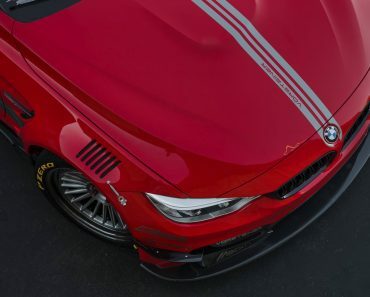 There were no mods carried out under the hood, this F82 BMW M4 still packing the 3.0-liter TwinTurbo Power inline flat-six engine, with 431 horsepower and 550 Nm of torque, which is enough to sprint from 0 to 100 km/h in just 4.1 seconds, at a topping of a limited 250 km/h.